Fuller Superb Car Battery 096 12V 76Ah 660A |County Battery. Buy Online Today. Free next day delivery on all Car Batteries. This high performance heavy duty Fuller Superb Starter Battery utilises the latest lead acid technology and provides the unmistakable reassurance of a 5 year warranty. The Fuller Superb 096 Car Battery is used in many car types such as Mercedes, Ferrari, Renault, Volvo series and many more. Click on the Car Fitment tab on this page to find your car fitment. 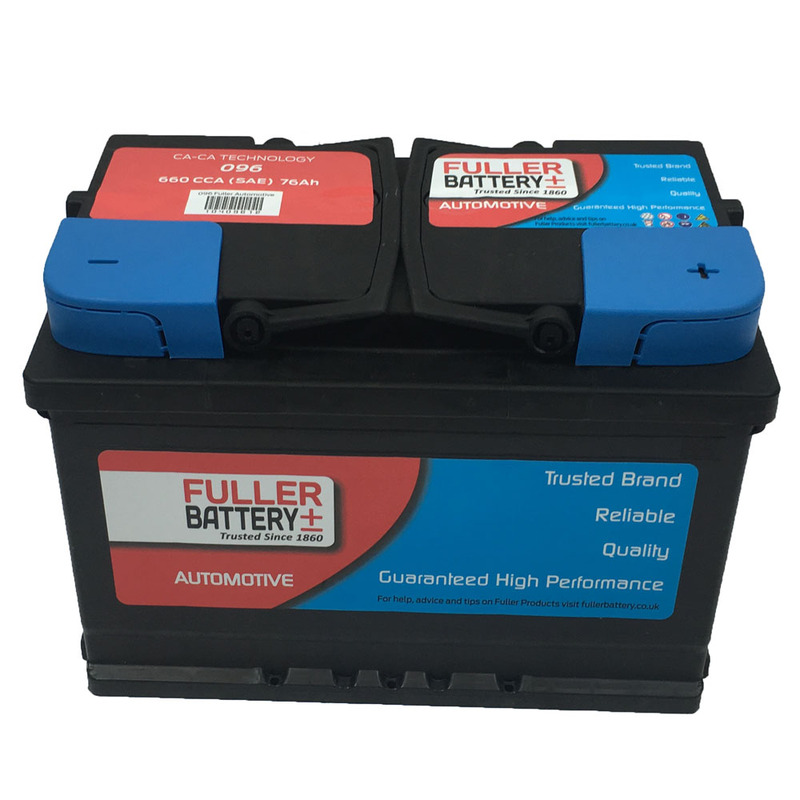 The Fuller Superb 096 Car Battery is suitable to perform for 1.8 litre to 5.9 litre petrol vehicles. EXCELLENT SERVICE. FAST EFFICIENT AND THE QUALITY OF THE BATTERY ITSELF AS WELL AS THE PACKAGING IS FIRST CLASS. FULLER BRAND BATTERY IS EXCEPTIONAL IN TERMS OF PERFORMANCE WITH EXCELLENT COLD CRANKING AMPS, I HAVE DEALT WITH OTHER SUPPLIERS OVER THE YEARS AND THESE GUYS WILL BE MY CHOICE IN THE FUTURE. THANK YOU C.B.S.